Welcome to Sarah’s Driving Tuition Driving School. I’m Sarah Plows, a Top Grade A DVSA registered Approved Female Driving Instructor based in Spalding with a very high 1st time pass rate. 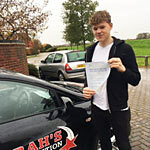 I pride myself on getting pupils through their Driving Test as quickly and safely as possible in a calm, confident, relaxed and friendly environment. As a member of the Motor Schools Association I attend Continuous Professional Development courses every 6 months to keep up to date with any changes in the Industry. Objectives will be set so that you will know what you will be working on during the lesson. This will prevent any ‘aimless driving around’!! A 2-way learning process with questions and answers to ensure a thorough understanding of the set objective. A 2 hour lesson slot giving time to consolidate the objective before moving on to a new subject. 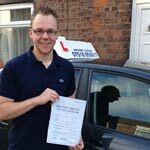 Regular lesson (at least once a week) to increase your chance of a 1st time pass. I can help you become a safer and more confident driver and build on existing skills and knowledge by offering Pass Plus after you have passed your driving test. Completion of the course may earn you a discount on your car insurance.